I teach children from 9 to 14 years old. 28 sentences. The level of the ws is for beginners, proper for students to practice "to be" just after being taught it. 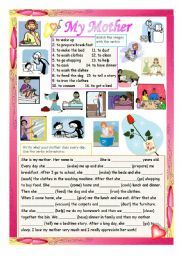 As a second activity or as homework, you can ask the students to translate the sentences in your mother tongue. Hope you like it. 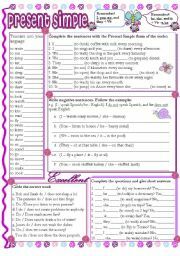 30 sentences, both affirmative and negative, concerning the verbs "to be", and "have got" - present simple, "to be" - past simple, and present simple tense, present continuous, present perfect, past simple and future simple. Hope you like it! 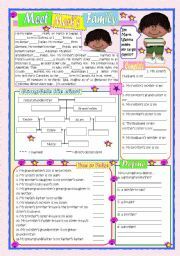 The main themes: present simple of the verbs "to be"and "to have", clothes and colours. Fully editable. Key included. 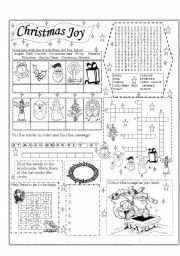 Images taken from Arthur�s Clipart. Hope you like it! 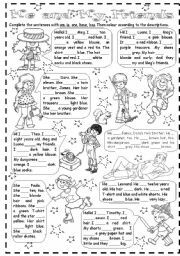 There are 5 exercises: a short text about Mark�s extended family - the students have to fill in the missing verbs, a chart which needs to be completed with the family members, an exercise with riddle-like sentences, True or false, and finally, a writing exercises - the students have to define some family members. Hope you like it! This ws has 3 sections: the first one is a pictionary of Halloween-related words: 17 words, the second section is a game: the students have to find all the 17 words from the pictionary in the word spiral and to write them down in the list, and the final section is a short fill-in exercise which can be used as a role-play, as well. Hope you like it! 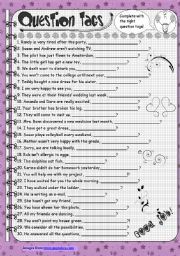 10 sentences using simple vocabulary for beginners. 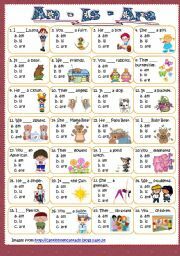 The students have to click on the teacher to receive the sentence and on the three animals to reveal the answers. I used images from Phillip Martin and Jeff Bucchino�s collections. Hope you like it. 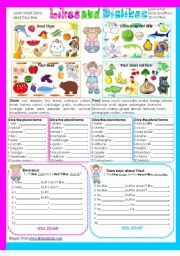 10 simple school objects - vocabulary for beginners. 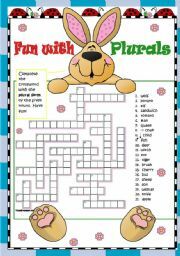 The students have to click on the teacher to receive the object and on the three animals to reveal the answers. I used images from Phillip Martin and Jeff Bucchino�s collections. Hope you like it.